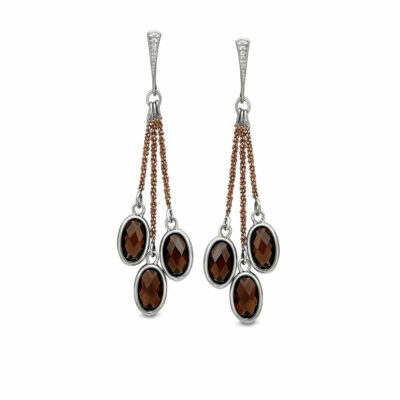 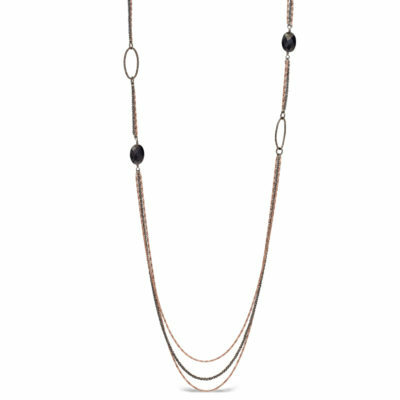 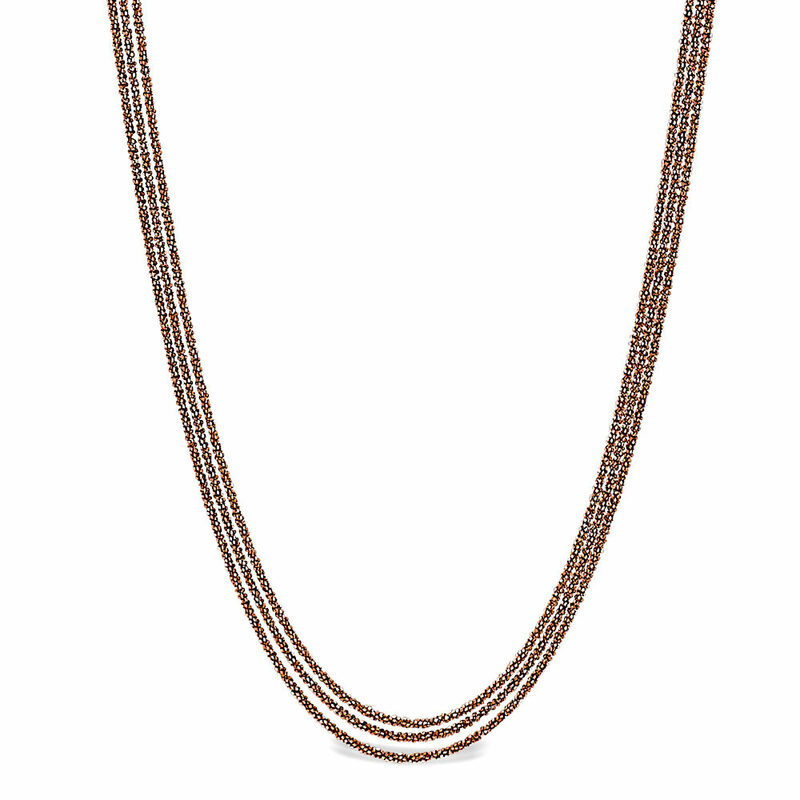 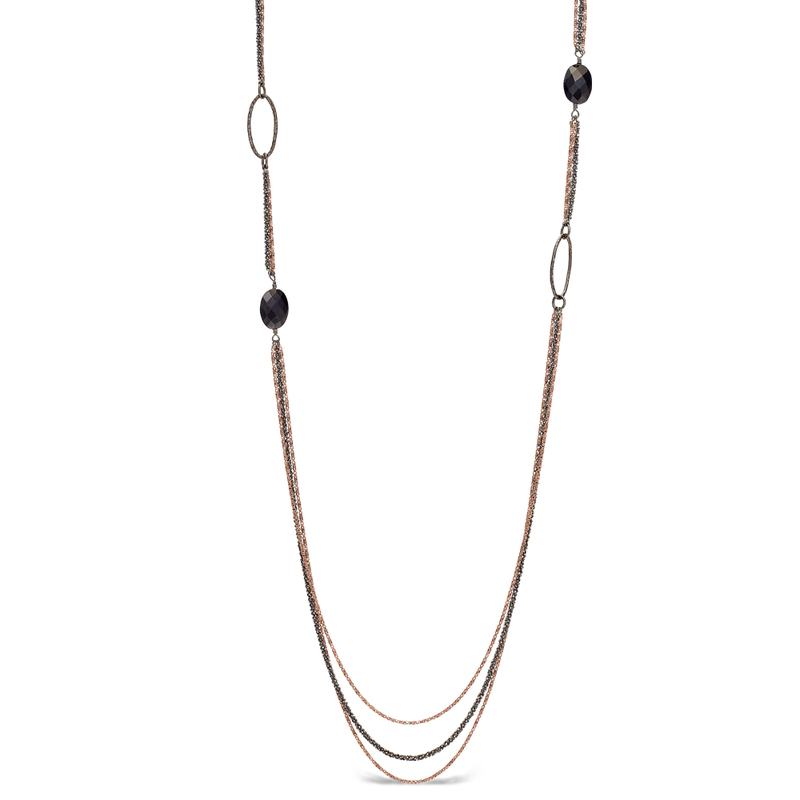 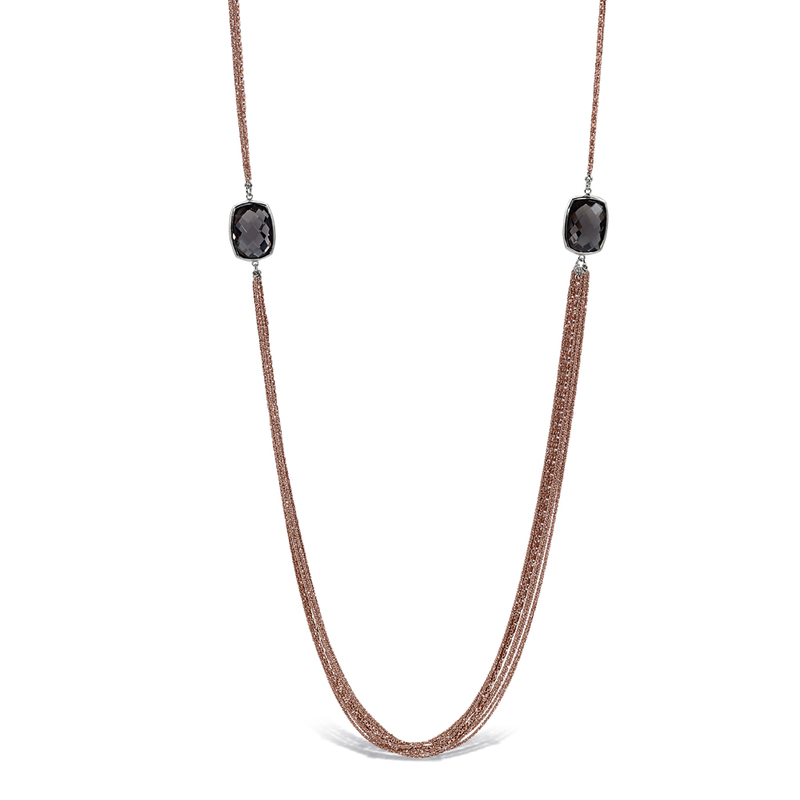 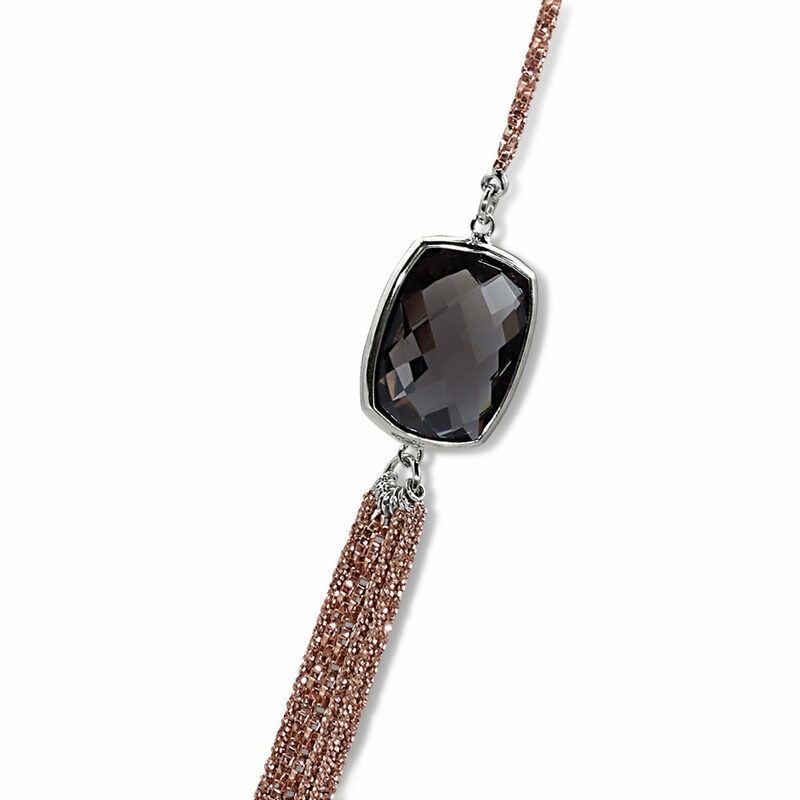 Three smoky quartz ovals dangle on a rose washed silver chain. 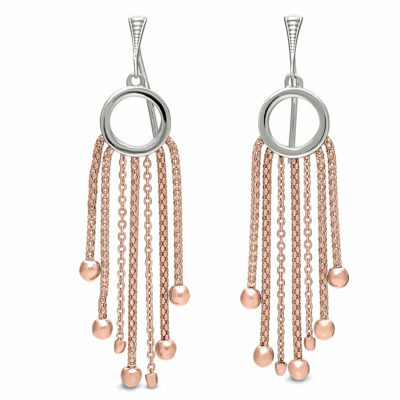 Specially designed shepherds hooks allow the top of the design to sit high on your ear, adding fun design elements to the earring. 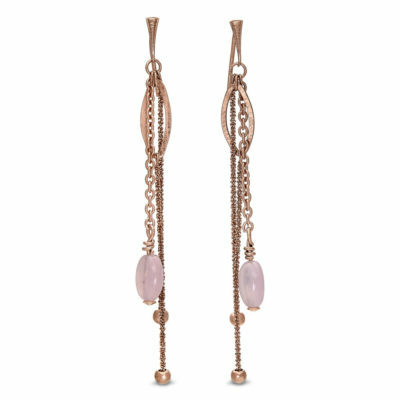 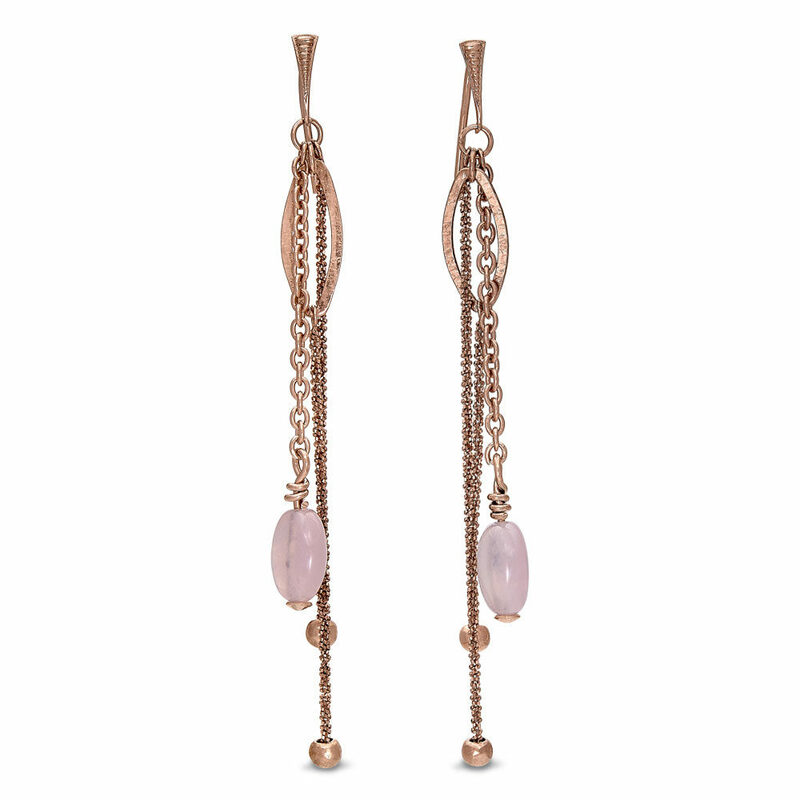 Rose washed silver earrings with drops of rose quartz briolettes. 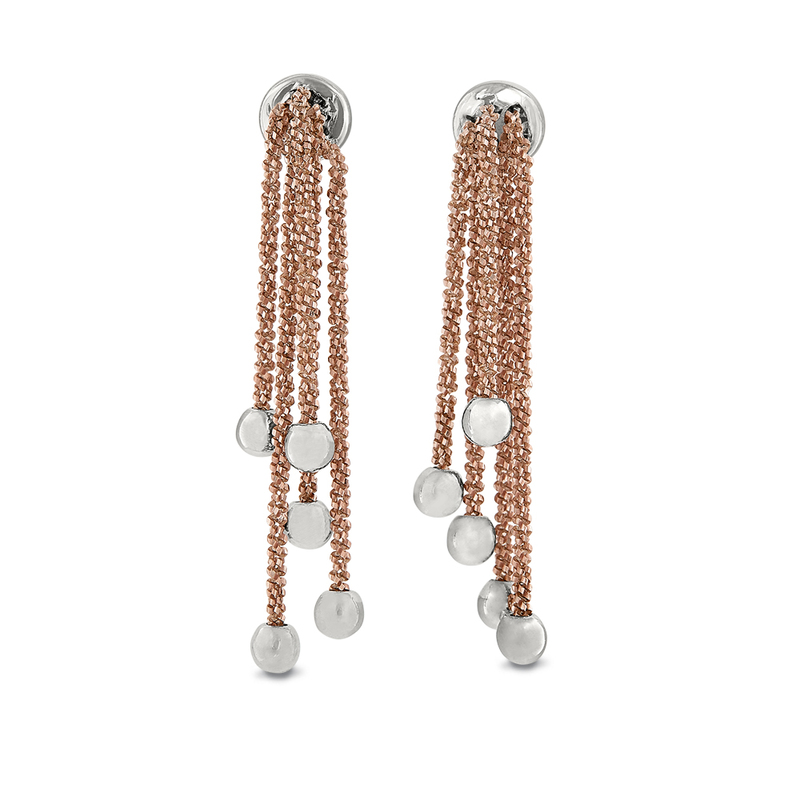 Vermeil silver earring. 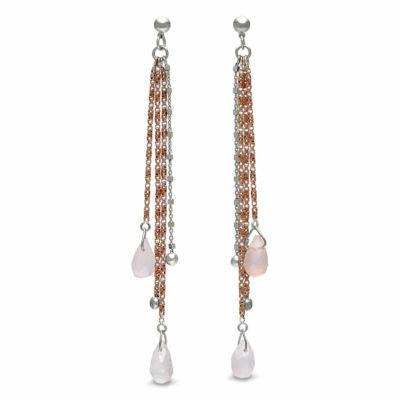 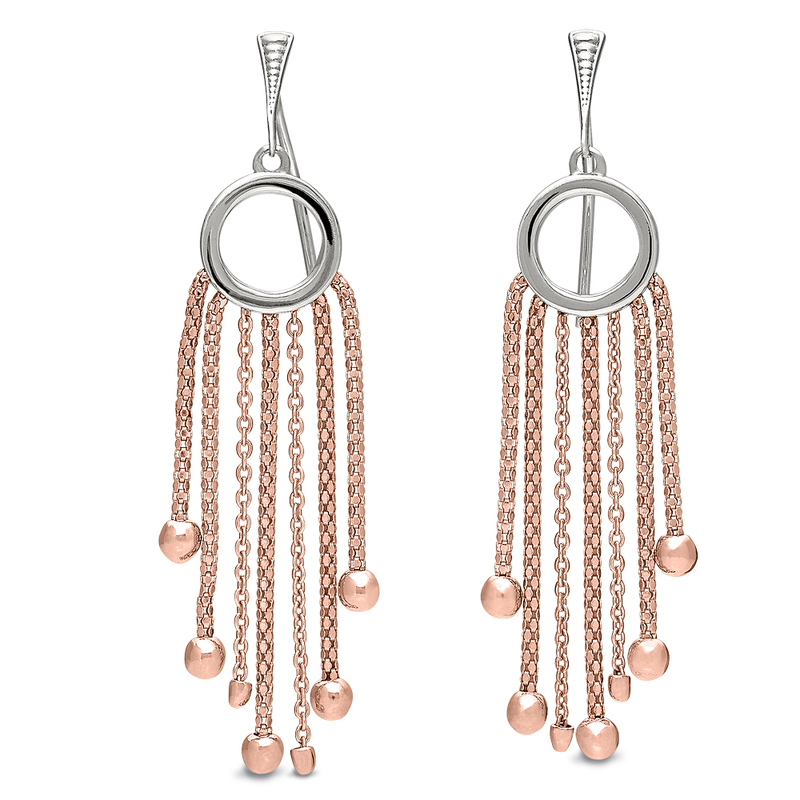 Rosey silver earrings with drops of diamond cut silver beads and rose quartz. Vermeil silver earring. 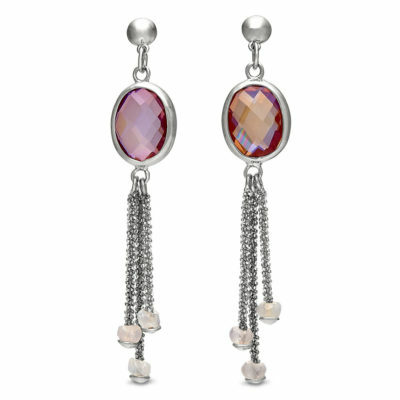 Silver earring with drops of rainbow blush quartz. 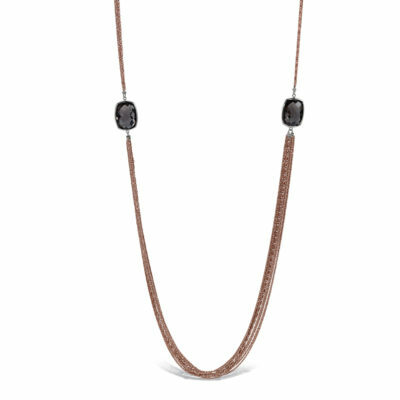 A shepherds hook for ease of use. 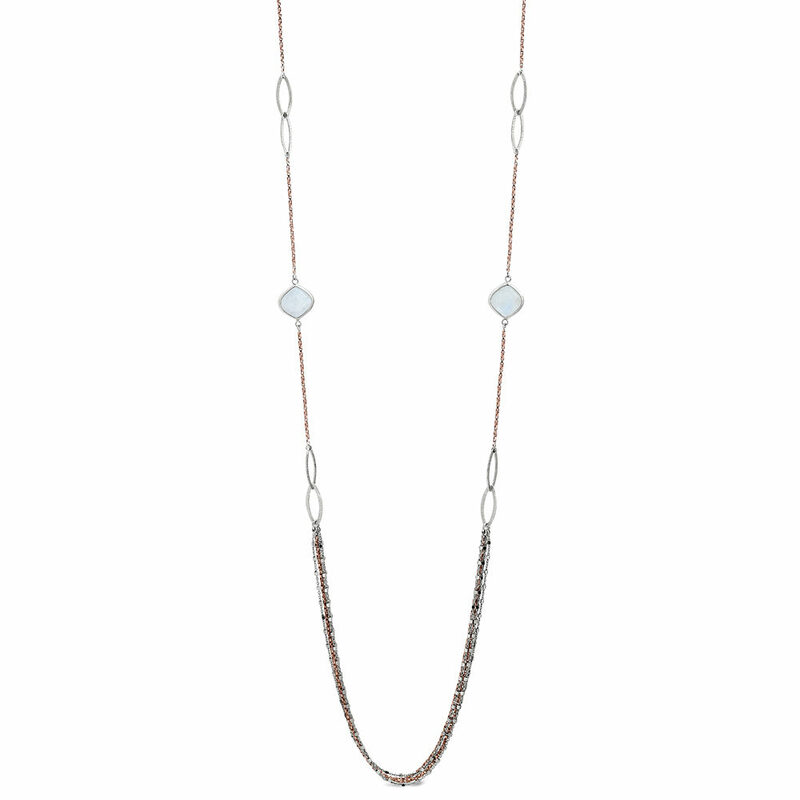 Pink with flashes of blue. 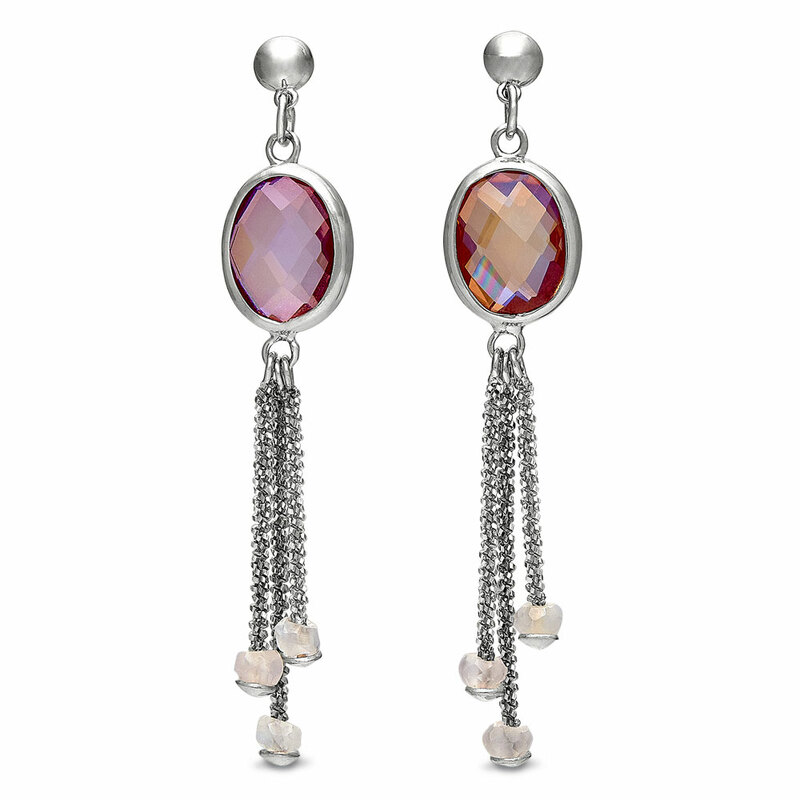 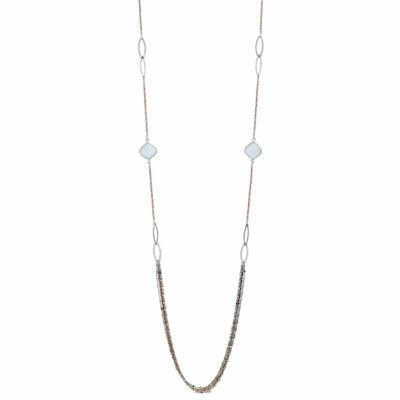 Drops of rose washed silver chain spill from the ear, small silver beands sparking below. 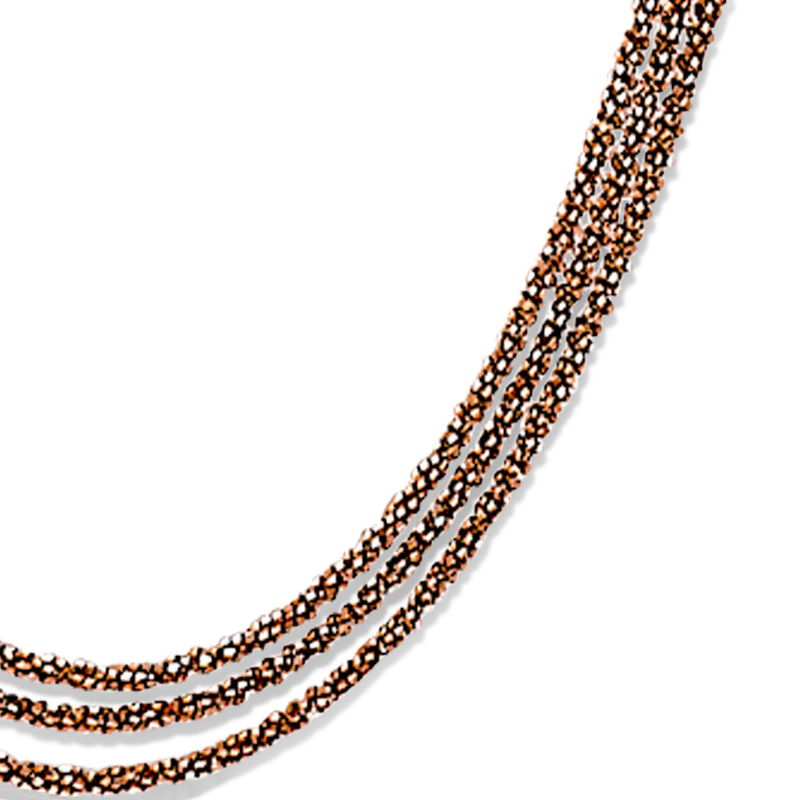 14k gold back and clutch. 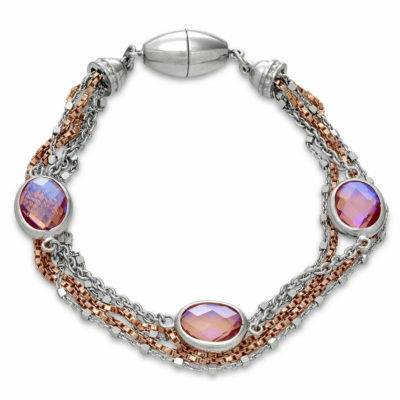 Three types of silver and rose strands with rainbow blush quartz. A magnetic clasp for ease and comfort. 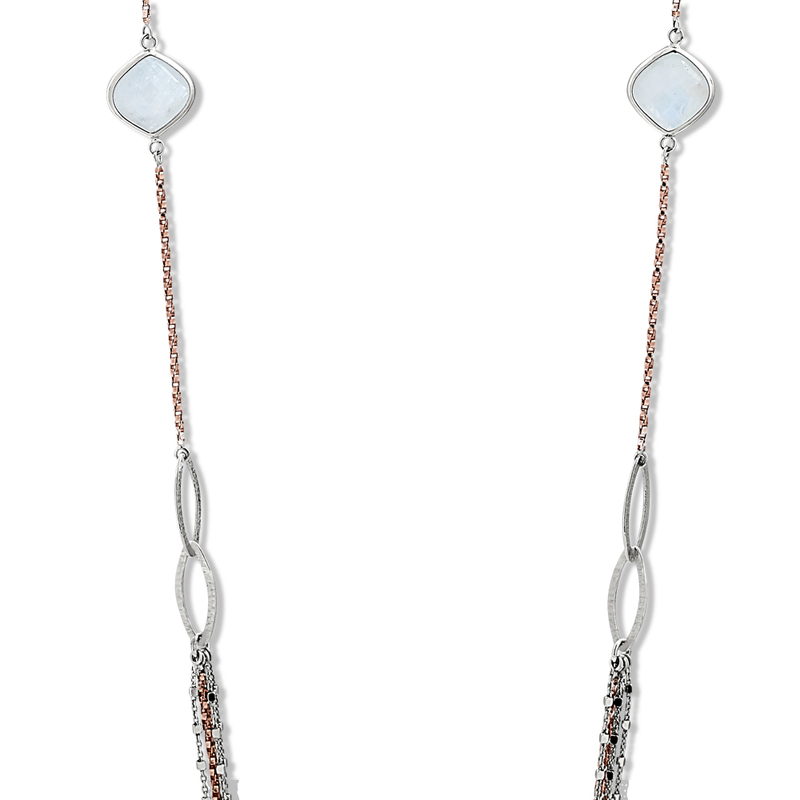 All silver, with vermeil rose chain. 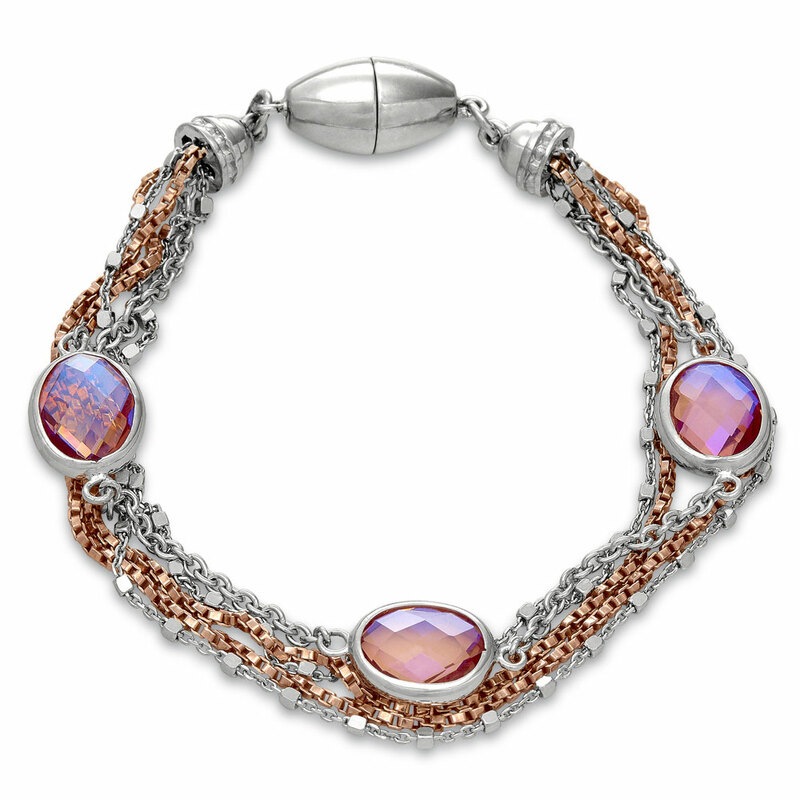 Three types of silver strands with rainbow blush quartz. 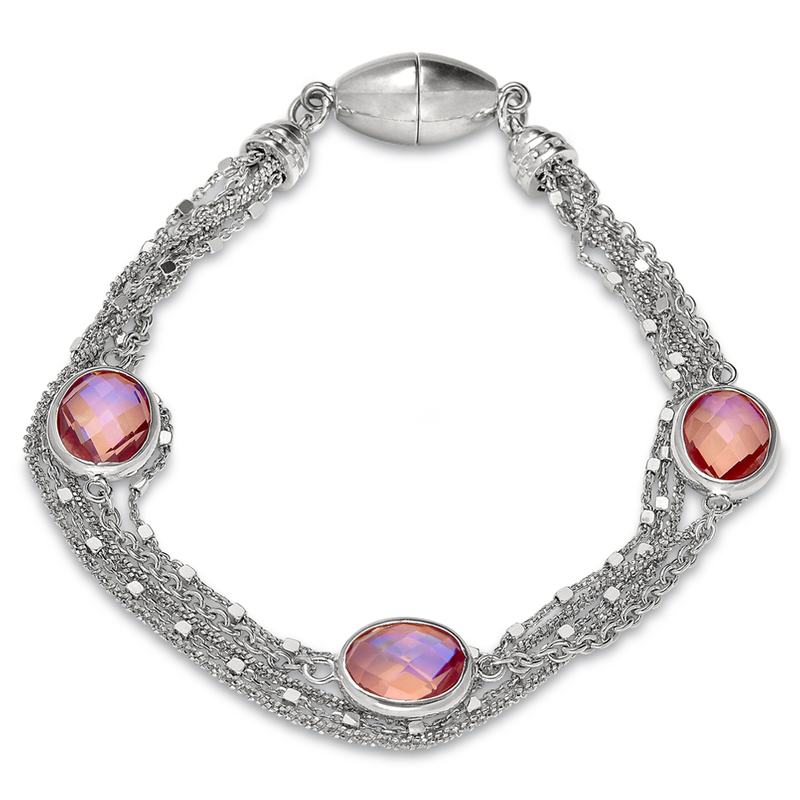 A magnetic clasp for ease and comfort.